Getting tired of this fighting game renaissance yet? We&apos;re not! 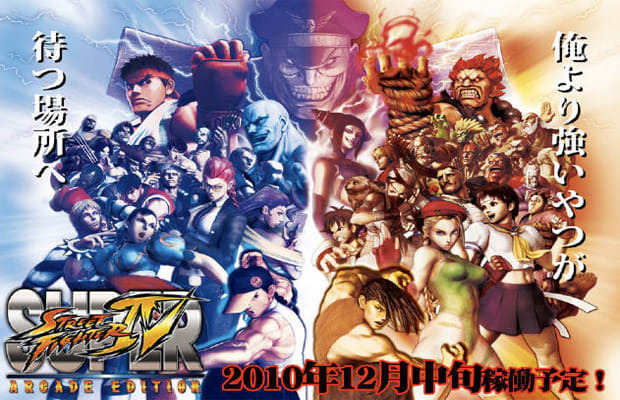 Thanks to the Japanese gaming wizards at Capcom, we&apos;ve been blessed with numerous entries in the Street Fighter and Vs. fighting game series as of late. Fans of Super Street Fighter IV who have been awaiting news on future DLC containing the Arcade Edition update may wanna read this one. Yoshinori Ono, the famed producer behind SFIV, tweeted a few words recently that hinted at home console owners getting a piece of Street Fighter IV&apos;s Arcade Edition content.